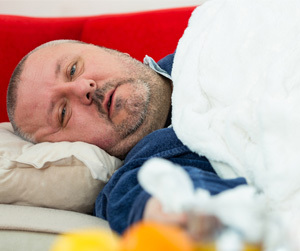 This observational study looked at nearly 5,000 people with an influenza-like illness. While no direct conclusions can be drawn from the study, it does reinforce the idea that morbid obesity negatively affects our health. Along with increasing the risk of heart attack, stroke, sleep apnea, type 2 diabetes, and gallbladder disease, morbid obesity can contribute to increases in hospitalizations. Morbid obesity is usually defined as having a BMI of 35 or greater, or being 100 pounds overweight. BMI is a measure of body composition, with the normal range from 18.5-24.9. You can check your BMI here with Dr. Shillingford’s BMI calculator. If you are morbidly obese, weight loss is encouraged. While diet and exercise are the first steps in tackling weight loss, for some people diet and exercise just aren’t enough. If you have tried to lose weight with diet and exercise but have been unsuccessful, you may be a candidate for gastric sleeve, gastric bypass, or gastric band surgery. If you are ready to take charge of your weight and your health, one simple phone call to Dr. Shillingford, MD, PA can be all you need to set you on the right track to weight loss success. Don’t wait for a health crisis like a heart attack, stroke, or hospitalization with the flu to take action, call Dr. Shillingford today at (561) 483-8840. Dr. Shillingford, MD proudly serves as Medical Director at Northwest Medical Center’s Center of Excellence in Bariatric Surgery. His gastric sleeve, gastric bypass, and lap band patients often come from nearby locations like Miami, Fort Lauderdale, and Boca Raton, but they also travel for their surgeries from distances like Michigan, New York, Texas, and even Hawaii.